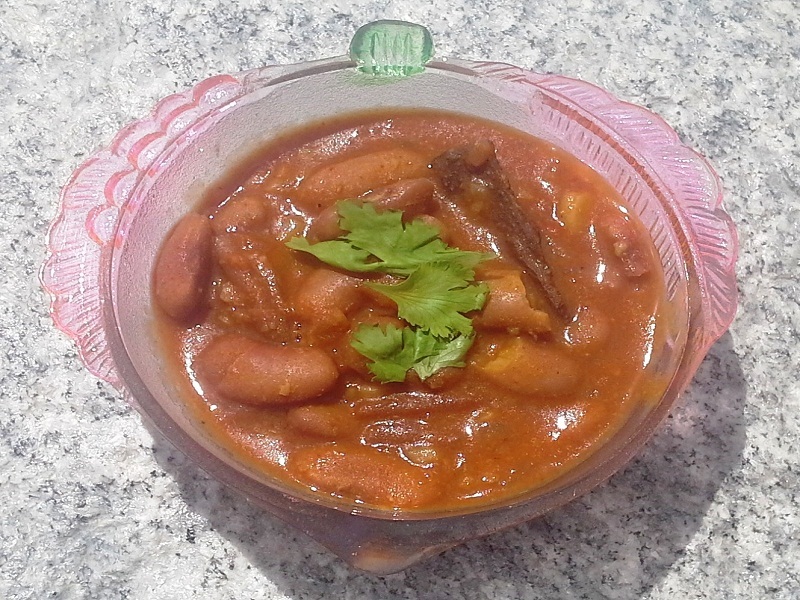 Red kidney beans cooked in thick tomato gravy. 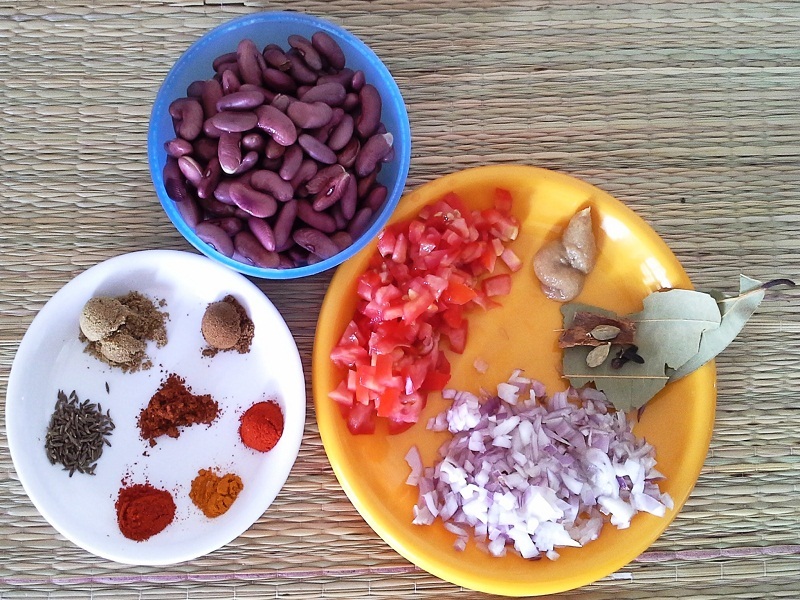 Rajma is traditionally of Punjabi origin but it's popular all over India and overseas. Rajma is red kidney beans cooked to perfection in tomato gravy with Indian spices. Try it on a lazy afternoon and you will not be disappointed. Soak the kidney beans overnight in about 2 cups of water. In a pressure cooker add the kidney beans 3 cups of water, cardamom, clove, cinnamon and salt. Cook it till the pressure cooker releases 5 whistles. Let it sit for a while. Meanwhile in a wok heat a tablespoon of oil. Add cumin seeds and bay leaf. Once the cumin seeds change color add the onion. Fry till they are translucent. Add the ginger garlic paste and fry for another 2 minutes. Add the tomatoes, turmeric, red chili powder, Kashmiri chili powder, cumin powder and coriander powder. Fry till the mixtures separates oil. You can add a teaspoon of water if the mixture starts to stick to the bottom of the wok,. To this add the cooked kidney beans along with the water. Let it come to a boil. Adjust the salt and add the garam masala powder. Continue to simmer till it reaches the desired consistency. Make sure not to reduce the water too much as it tastes best with gravy. Serve it hot with steaming white fluffy rice.